I love that book. Need to revisit. I loved it as a youth, and appreciate it even more as an adult - now that I have the (more or less) adult perspective required to really understand the context of childhood, childhood fears, and nostalgia which are such strong themes in the book. None of his other books really speak like this. Francis Ford Coppola's Godfather Notebook. 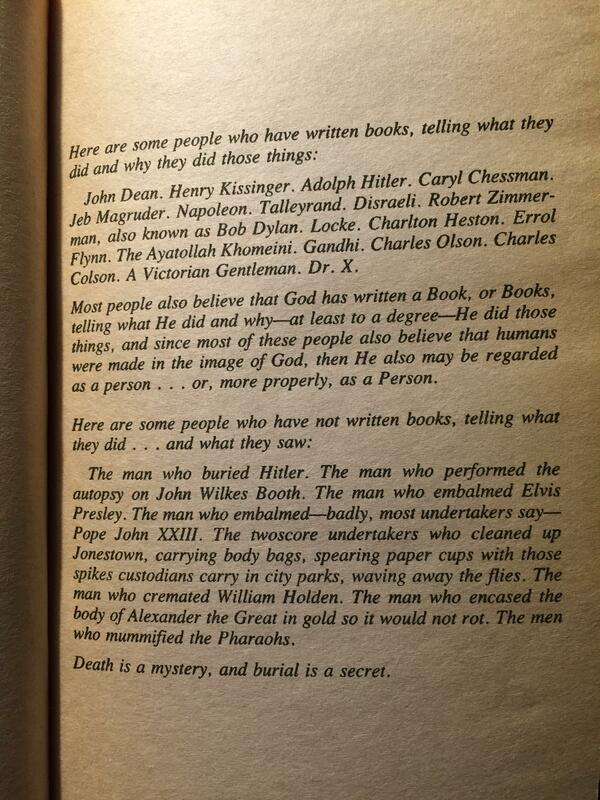 Before filming, he took Puzo's book apart and pasted the individual pages in a notebook. Throughout, he's got dialog and scenes underlined with comments in the margins, sort of a story board in book form. The book has lots of pictures and for some scenes, he included a typewritten "Pitfalls" list of possible things that could go wrong, anticipating how the audience might react, or misinterpret. Makes me want to read the book and see the movie again. I am reading Handsome Heroes and Vicious Villains (2016) by Ed Hulse, which is the second half of a two-volume set. The first volume, which came out in 2014, was Distressed Damsels and Masked Marauders. It is a history of the silent movie serial, which I don't think has been covered in any real depth for many years until these volumes appeared. I am enjoying it. I find it amazing the risks people took (in the days when there were no unions in Hollywood) in order to entertain an audience. Despite precautions that were made, several people never returned home again. These people had guts. Navigators of Dune by Brian Herbert and Kevin J. Anderson. Nice SF series set in the early age of the Dune empire. The Second Life of Nick Mason is the first in a new series of thrillers by an established author. Writers in the ever more competitive field are trying new things, and Nick Mason, the new anti hero, was obviously designed to be played on the big screen by a guy like Lev Schiber (sp??). Nick has done 5 years on a 25 yr term, when a bad guy gets him early release, but Nick is not, as he is told "free". He is to serve the next 20 years "outside", doing the bidding of the bad guy who got him off. I was reading just yesterday that it is back on the best seller lists. Amazon just ordered 75,000 copies. Taught that book for over 40 years...scary, depressing book....and there,s a reason it's back on the best seller list!!!! The Last Good Kiss by James Crumley. In a recent piece posted in The Week, Dennis Lehane wrote,"Crumley seemed to be unaware he was supposed to be writing just another mystery novel. So he wrote what may be the greatest one in the English language (starting with the greatest first sentence in American crime fiction). " I'm only half way finished, and I'm not a big fan of mystery novels, but I am enjoying it, and for 40 year old popular fiction, it stands the test of time well. The fact that it is still in print, says a lot. "The Long Cosmos" by Terry Pratchett and Stephen Baxter. Terry's last book before he passed away. A nice finish to the series they started together a few years back. I'm rereading "A Confederacy of Dunces" after my wife and I visited New Orleans several years ago. I made a highly restricted trip to NOLA back when I was a teenager, as part of a high school band trip. Even though we had the opportunity to do a little independent exploring, the trip was tightly structured and, as an uninformed minor, I was in a poor position to fully appreciate all the delights of the Crescent City. Our return trip as adults gave me a greater understanding of NOLA's unique character and re-sparked my interest in this modern classic comedic novel. While I was correct in thinking a deeper familiarity with the city would enhance my enjoyment of the book, I made an even bigger, better discovery early in my efforts: While "A Confederacy of Dunces" is incredibly funny in and of itself, it becomes almost unbearably hysterical if you imagine the book's "protagonist" (if you can call him that), Ignatius J. Reilly, taking on the appearance, voice, and mannerisms of "Comic Book Guy" from "The Simpsons". The connection is so perfect you have to wonder if Reilly was Matt Groening's inspiration in the first place. There has been talk over the decades since its publishing about turning "A Confederacy of Dunces" into a movie. Much of that talk has focused on the idea that the book's complete absurdity, wild humor, and over the top characters make it almost impossible to reinterpret on film. I think the solution to the problem is to place the project in the hands of Matt Groening and James L. Brooks and company and let them re-imagine it as an animated piece, recasting all the parts with existing Simpsons characters. 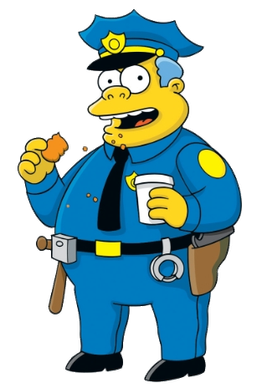 Comic Book Guy as Ignatius J. Reilly, Mrs. Skinner as his mother, and Police Chief Wiggums as Officer Mancuso are just a few of the obvious (to me anyway) substitution choices for the project. I hope "The Simpsons" creative team is alerted every time they're mentioned on the internet. Maybe, if they see this, a long held dream of many "ACoD" fans will finally come to pass. FWIW, the book was adapted into a stage play starring Nick Offerman as Ignatius J. Reilly. Funny stuff, but I still think "Comic Book Guy" will be the genius actor who brings true life to the role. The Lone Ranch by Mayne Reid (1871). It's a western. I'm reading a 1911 reprint. Anne Hillerman's latest Officer Che Navaho police mystery, Rock With Wings. Like northern Arizona and New Mexico, the Hillerman novels (both Dadf Jonathan, and daughter, Ann) are must reading!! More Stephen King. This is the intro. Without Googling, can you tell me which of his books this is from? Pinstripe Empire by Marty Appel, the history of the New York Yankees. It's amazing he crammed every year, every event in merely 800 pages. Must read for Yankee fans, and fascinating for all who love the game!! If you don't know why the "bullpen" is called the bullpen, it's just one fact I learned along the way . I just finished "Jack Harkaway's School Days" (1871) and will soon start on the sequel, "Jack Harkaway's After School Days" (1872). They are by Bracebridge Hemyng. There were about a dozen titles in the Jack Harkaway series. The first volume involved activities in a private school for boys, but the series went into adventure mode from the second volume onward. Originally printed in the Boys of England weekly story papers, the series was very successful in both England and America. American Sickness by Elisabeth Rosenthal. It examines our health care industry and how and why it is. It examines historical health care legislation, insurance, doctors, clinics, hospitals, pharmaceuticals, medical devices, etc. Since I only read half the book so far I don't know what conclusions it comes to, if any. Chesapeake. I have not read it in years, but I always enjoy it. I had a sailboat on the Chesapeake, so I am very familiar with the area. "Between Them" -(remembering my parents) by Richard Ford. Really, really good non-fiction of a couple in the 1930's who find themselves with a baby on the way after many years of marriage. Told by the son's viewpoint as a now older adult. Can't put it down. Riveting. 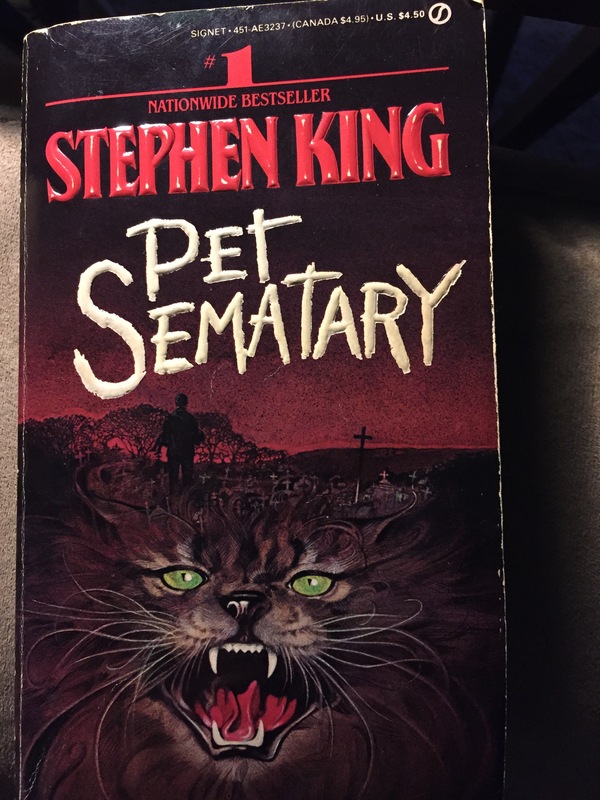 Ketteract, is that from Pet Sematary? Yep! I kinda gave it away in SC's thread, I guess. Love this cheesy cover. Thought I'd mention that one of the single best articles I've ever read on the cost of health care is this New Yorker piece by Atul Gawande. Not as broad in scope as your book, of course, but devastatingly enlightening. I've been busy, but I have been reading 5 or 6 pages at a time of A Shepherds Life , a recent best seller. It's written by a sheep farmer, named James Reebanks, from the Lake District of England. I thought of the Lake District as a tourist area, but it is also home to what may be the oldest farming community/system on earth. (I would have thought Egypt or Iraq). I now have a better understanding of "fells" , the common , mountain, summer grazing area, and "hefted", belonging to a particular area of land. Dan Brown's ORIGIN....another great read in the series!! Just finished the Romanov Randsom.